But does she know? Dunno! But goodness, I hope she does. It looks like an outfit worn by Hayato from beautiful dude series Uta no Prince-sama, a franchise that encompasses both anime and games. Uta no Prince-sama has a following of diehard female fans in Japan. The jacket with stars outfit appeared in Uta no Prince-sama five years or so back. Make no mistake, Hayato wore it first, because Kennedy didn’t don the duds until this summer. 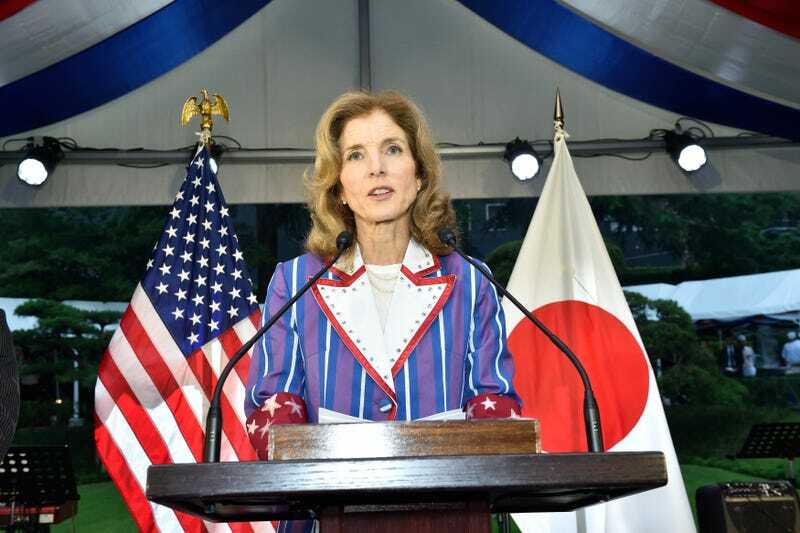 Even though Ambassador Kennedy might not know what Uta no Prince-sama is (though, damn, I hope she does!) or that she was dressed as Hayato, the person who put together that outfit must have. Or maybe the Ambassador knows exactly what she’s doing.